The popularity of Java as one of the most versatile programming language seems to improve every year. 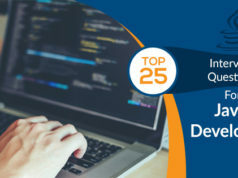 It’s 2019, and Java is still going strong when it comes to providing programmers the tool to build enterprise level applications. It is equally useful in developing other forms of apps including web, windows, and much more. There are plenty of Java frameworks out there. However, not all of them are perfect from what they offer. All of them have their own advantages and disadvantages. By using a framework, developers don’t have to reinvent the wheel. As a developer, you need to choose a framework that fits your requirements, not because it is the best. This is one of the most common mistakes that current developers make. In the end, your goal is to develop an app that functions and behaves the correct way. A web framework is a solution that lets you develop web applications. It improves developer productivity by providing a structure to work around. 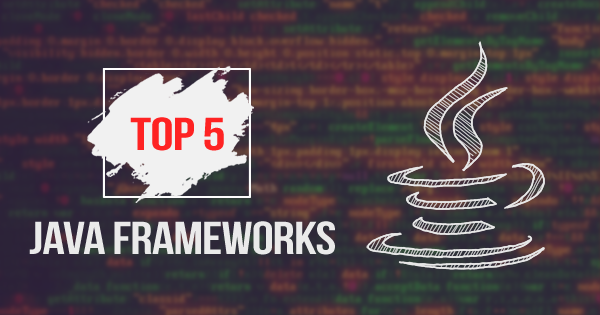 In this article, we will explore the top Java frameworks. Preparing for a Java interview. Read out these top 100 Java Interview Questions with the detailed answers and get ready to ace the interview. Java frameworks can be both front-end and backend. Backend frameworks deal with the server-side functions, whereas the front-end deals with how the frontend looks and functions. There are a number of Java frameworks that are popular, so here we’ve collected the top Java frameworks you should consider. Our top Java frameworks list takes into consideration how Java has evolved in the past few years. So, without any delay, let’s get started with the most popular Java frameworks. Spring is one of the most popular Java frameworks. It is advertised as the source of modern Java that can be used to build anything including WebSocket, streaming, web, REST API’s and so on. Spring is developer friendly and requires minimal upfront configuration. It is more than just a web framework. Spring is a programming model that is built on the top of Java. The Spring boot component ensures that the application gets up and run with the minimal configuration. Other critical elements of Spring include the Spring Cloud and Spring Cloud Data Flow. Spring Cloud enables developers to utilize the Spring boot and power their innovative ideas using distributed and micro-style service cloud. This way, developers can use the latest distributed patterns using microservices architecture. For example, you can use modules and services such as security or batch processing. So, what are the use-cases of Spring? Companies that are trying to improve their solutions and use containers can take the advantage of Spring. It simplifies the whole component requirement and improves application uses. The Spring Data Flow also helps companies to attach processes, devices, and third-party services without any difficulty. It helps to create a unified infrastructure that works seamless using data microservices. Read Spring Documentation to get more details about the Spring framework. Good toolkit to start with. Can be used to write accessible and clean code. 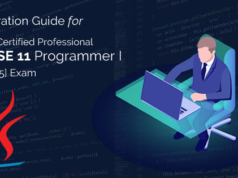 Standardization is one of the most important aspects of the current development as it enables developers to work uniformly across different platforms, and also makes it easy to debug or fix applications. JavaServer Faces is a standard that is used to build server-side user interfaces. The availability of standard APIs and tools enable the developer to create web applications seamlessly. It is specifically used to display the web user interface and is also defined in the Enterprise Edition (JEE). JSF is quite popular among the Java developers as it lets them stick to standards. It is also gaining popularity across platforms, and there is no reason for not to use JSF to build standard server-side user interfaces. It helps to improve portability. Moreover, developers can later move to use JSF thanks to its extensibility feature that it has to offer. The backend Java code can be extended using a web interface, and there is no need to refactor any of previous code to use the framework. The component-based design also allows the use of other components and add-ons. The JSF documentation is also well-done as it offers an in-depth showcase of how to properly use the framework. Until now, we discussed only Java web framework. Meet Hibernate, an ORM framework that is meant to deal with database access. It lets developers have a powerful option when it comes to working with the database. It is a high-quality framework with a focus on object-relational mapping. Object-relational mapping is useful for relating data across two incompatible systems. It is useful if you are working in a complex ecosystem and require to make data flow seamless. Hibernate can only be used with Java and this is why it is in our best Java frameworks list. Hibernate is extremely efficient considering that it only dictates the communication between databases for transferring data. It also means that scaling is possible with hibernate, and you can code multiple databases at the same time. This is one of the most significant benefits of using Hibernate and can easily handle a massive number of users. However, it doesn’t mean that you should ignore the solution as it works similarly even with a lower number of users. The critical components of Hibernate include the following. Hibernate ORM: handles domain model persistence across relational databases. Hibernate Search: Search feature across the domain. Hibernate OGM: Domain model persistence for noSQL datastores. Hibernate Tools: IDE plugins and command line stools that make the use of Hibernate easy. Go through the official Hibernate Guide to know more about the Hibernate framework. This Java Framework enables developers to develop and debug Ajax application using Java programming language. It is easy for developers to create complex browser applications faster with the use of Google Web Toolkit. A developer should follow the GWT documentation to work with Google Web Toolkit framework. Our last pick for the top Java frameworks goes to Grails. It is a Groovy-based web application framework which enables developers to create web applications using Groovy programming language. Also, it is open source under Apache 2 License project. Groovy is aimed to improve developers productivity and uses an object-oriented language. It is dynamic language but still let developers use static-typing and static compilation capabilities. As a Java developer, you will find yourself at home as it uses similar syntax to that of Java. Also, the syntax is compatible with Java and can be compiled to JVM (Java Virtual Machine) bytecode. It is built on top of the Spring Boot and borrows the time-saving features of Spring Boot. Grails also sport a vibrant community and hence offers tons of plugins that are managed and developed by the community. Learn how to work with the Grails framework with Grails documentation. Thinking to start a career in Java? Prepare with these top 20 Core Java Interview Questions and crack the interview in the first go. Conclusion – Which Java Framework Should You Choose? Java has evolved a lot in the last decade or so. With so many frameworks, you can improve development time and ensure that you build an application that works in different environments. This leads us to our next question, which one should you choose? As a beginner, you should select the one that fits your requirement and is easy to learn. Once you feel comfortable, then you can try out other frameworks and decide it for yourself. The choice of the framework also depends on your experience. If you have a good experience working with Spring Boot, then Grails can be an excellent pick for your next project. In the end, this is only you who have to decide which framework to pick based on multiple factors including features, ease-of-use, documentation, support and so on. So, choose the right framework as per your requirements and have a bright development career. 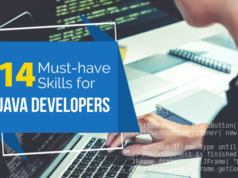 You can also get a certification to validate your Java development skills. Join our Oracle Java certifications training and become a certified Java developer.